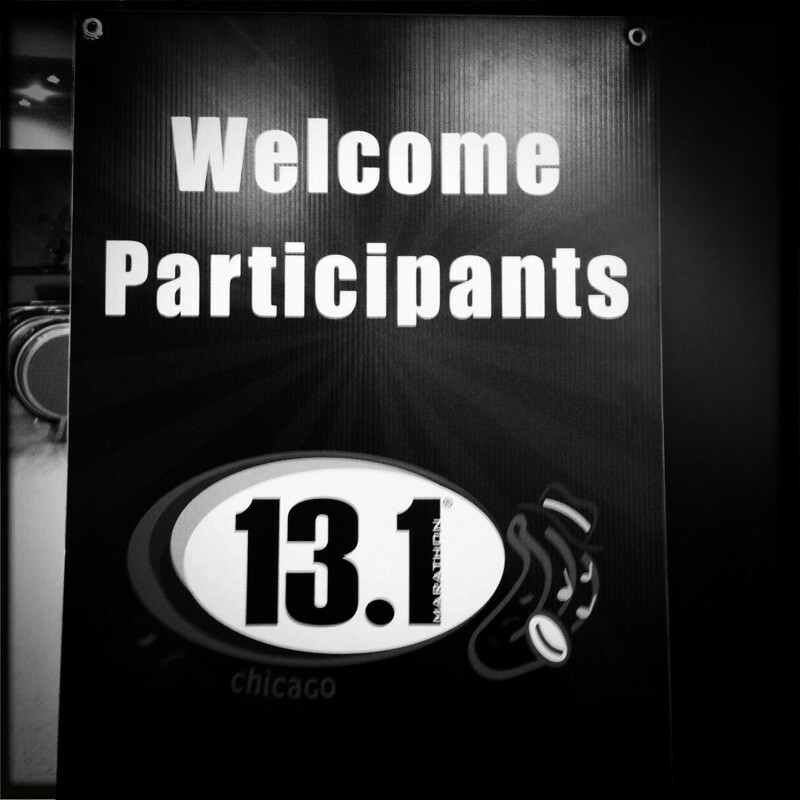 It is my 13th half marathon. I registered a month and a half ago while I was on a running high. Currently I have some pain in my mid calf. It arrived Sunday. I'm thinking dehydration from the soldier field 10 and my Monday run caused it. (calf cramps turned muscle strain?) The 5k time trial certainly didn't help it on Wednesday. The pain goes away when I run. I'm torn about this. I really want to run it and then relax into training for the Chicago marathon. On the other hand, I don't want to aggravate this issue more. I've never bailed on a race before. This has been consuming me the last few days. It's going to be a game time decision tomorrow morning. 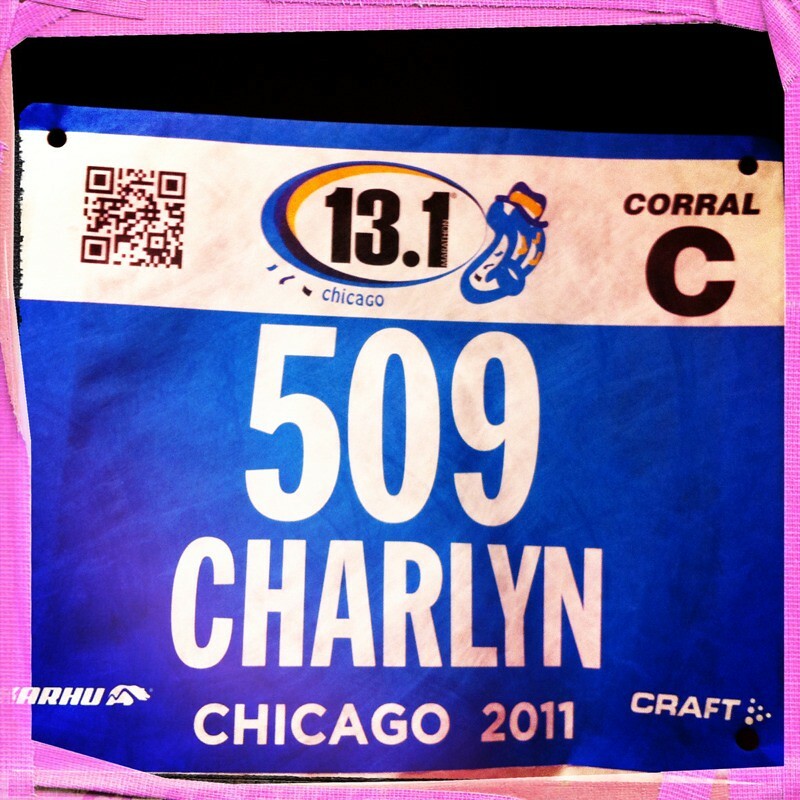 The bib is cool because it has my name on it! Did you ever bail on a race before? What was the deciding factor? Or if you were questioning whether or not to run, did you show up to the race and then just take it from there? My racing priorities will shift considerably for next year. Well I hope that the leg loosens up a bit for you. I can't believe that you've ran 13 half marathons, thats crazy! I'm jealous! My body cannot handle that much racing, it starts to get creaky and stiff. I would probably show up and go from there. If anything, I would start and take the run easy pending the leg pain. I've never not showed up to a race, then dang things cost so much money that I want some payoff! I have bailed on races. 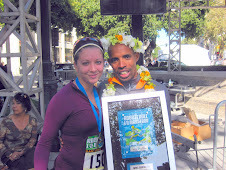 Mostly because I was injured and knew that if I completed the race I would hurt myself worse. You just have to listen to your body! Oh what a tough choice! You are right the t shirt is no fun if it doesn't say Chicago on it, and I hate unisex shirts. I am a girl give me a girl shirt! I love the name on the bib though! I have never had my name on my bib. I don't blame you for feeling crappy! You had a crazy hard week. 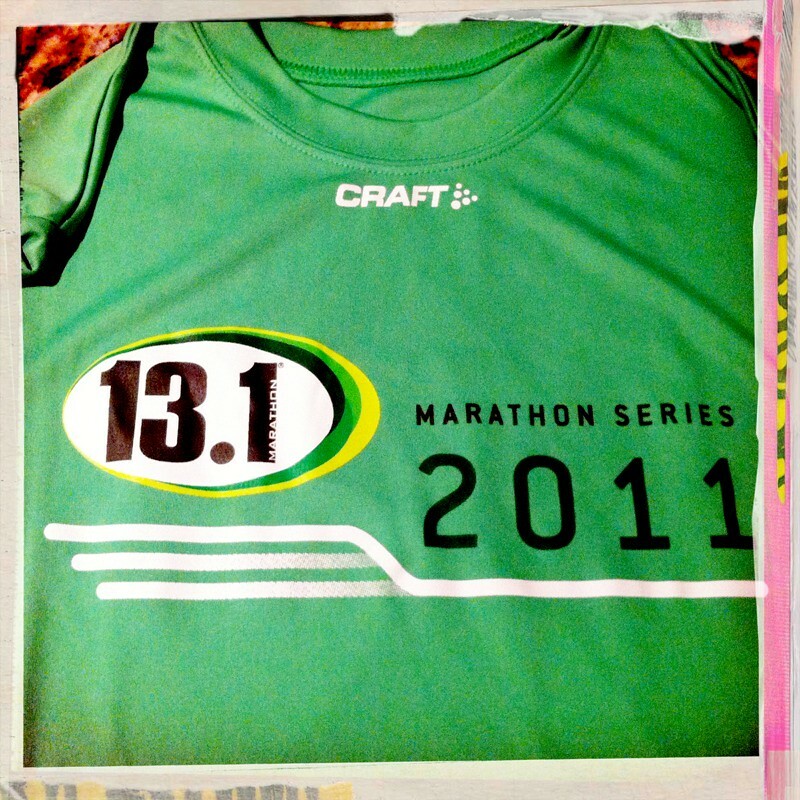 Oh that's annoying that the shirt has nothing about Chicago on it...but of course I do like the bright green. Not sure what to do about the leg-- def rest today, take a warm bath, ice it or something. And then see how it feels tomorrow and play it by ear. I would maybe just run the race very slowly? No run is worth an injury. Good luck with the decision on whether or not to run! I hope your calf injury heals up. One thing I noticed is that you still have 2 more half marathons before Chicago Marathon in your schedule, so you have 2 more opportunities to set a PR when you will probably be in awesome shape. So maybe keep that in mind when deciding whether or not to run the race. And you don't want to set back your Chicago Marathon training, as I'm assuming that is the ultimate prize for you. I've still never bailed on a race before, but I will have to this Sunday for the San Diego half marathon because I'm injured - boo. Listen to your head, not your heart. It's easy to say "I'll just take it easy and quit if I hurt," but it's a HARD thing to do. Plus, you don't want to start your training cycle injured. I'd err on the side of caution...your head and heart will get over it, your heart might not be so forgiving.